This entry was posted in Link Parties and tagged Link Party Pretty Pintastic Link Party on November 7, 2014 by Elizabeth. 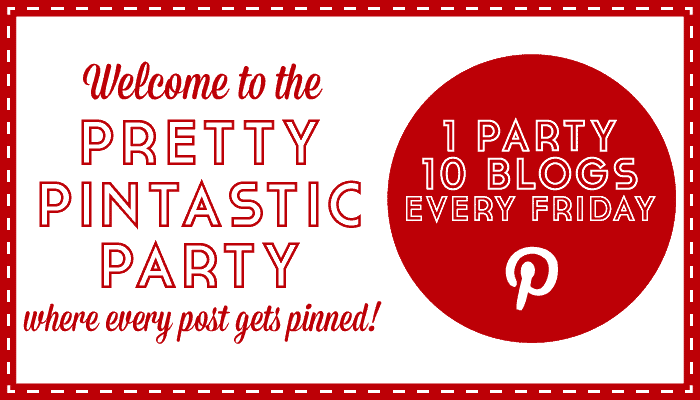 I am happy to be co-hosting the Pretty Pintastic Link Party again this week. Lots of fun bloggers visited and shared their posts last week. Can’t wait to see what you link up this week!! Every week we will have one or two fabulous co-hosts! Every week we will have one or two fabulous co-hosts! This week it’s Elizabeth from Balm to My Soul. 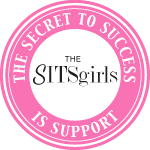 She post recipes, helpful tips, inspirational posts, and a whole lot more. 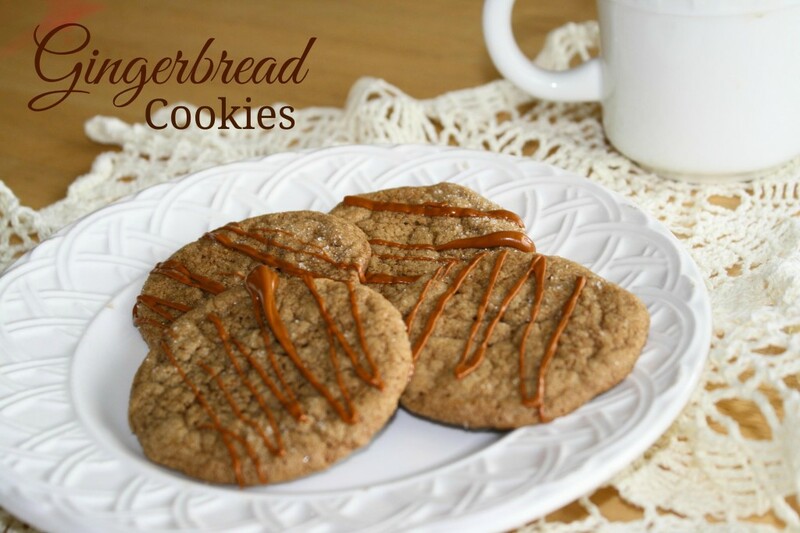 Check out her delicious looking Soft Gingerbread Cookies with Cinnamon Drizzle— I would definitely eat one of these (or 2 or 3…). Show Elizabeth some love by following on Facebook, Google+, and/or Pinterest. Our second co-host is Roopini from Let’s Make it Lovely. Roopini blogs decor, organizing, sewing and a whole lot more. 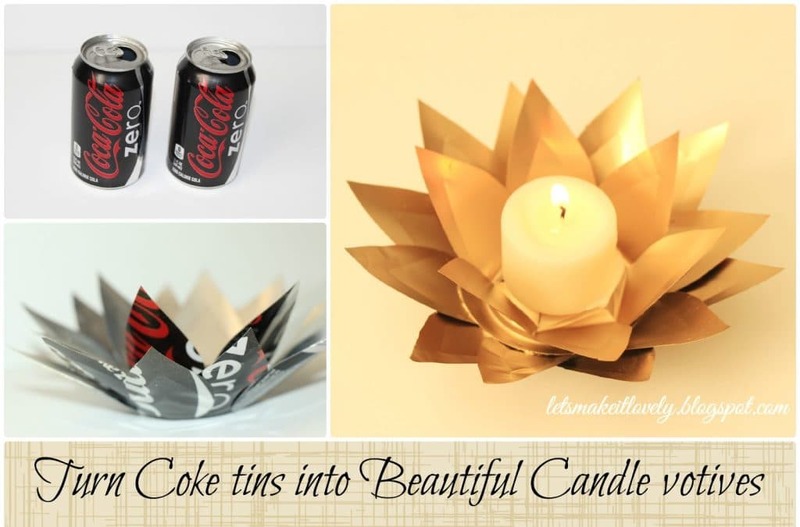 Check out these Beautiful Candle Votives from used Coke cans! Aren’t they amazing? Show Roopini show love by following on Facebook, Pinterest, and/or Twitter. 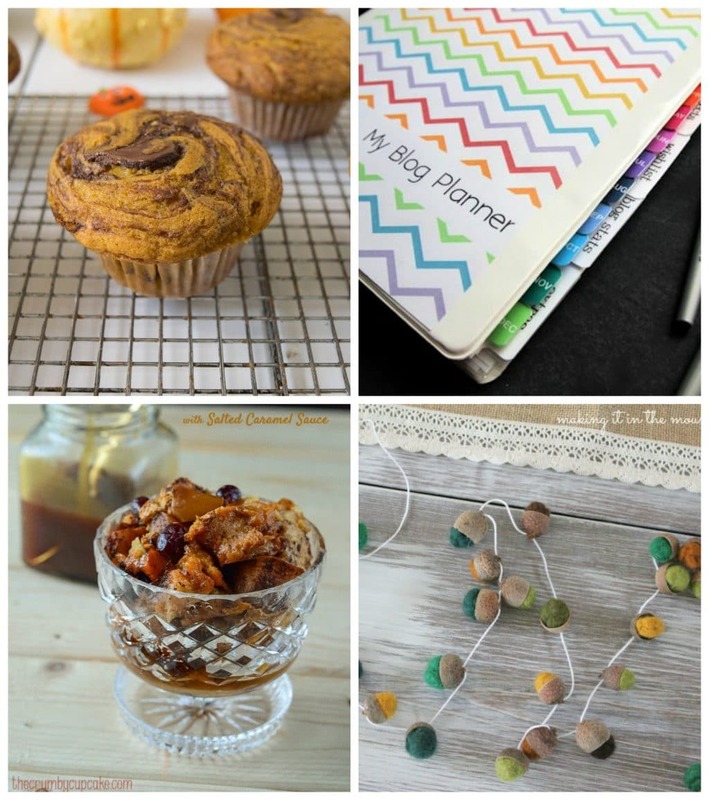 Pumpkin Nutella Swirl Muffins from Culinary Ginger Free 2015 Blog Planner from My Life Abundant Cranberry Apple Cinnamon Bread Pudding from The Crumby Cupcake Felted Acorn Garland from Making it in the Mountains If you were featured, grab a featured button!! Thanks, Jane. It makes me so happy that you stopped by! Have a great weekend!